When I started coiling with big bricks upon arriving to MIT, I found a new hobby of gate driving. 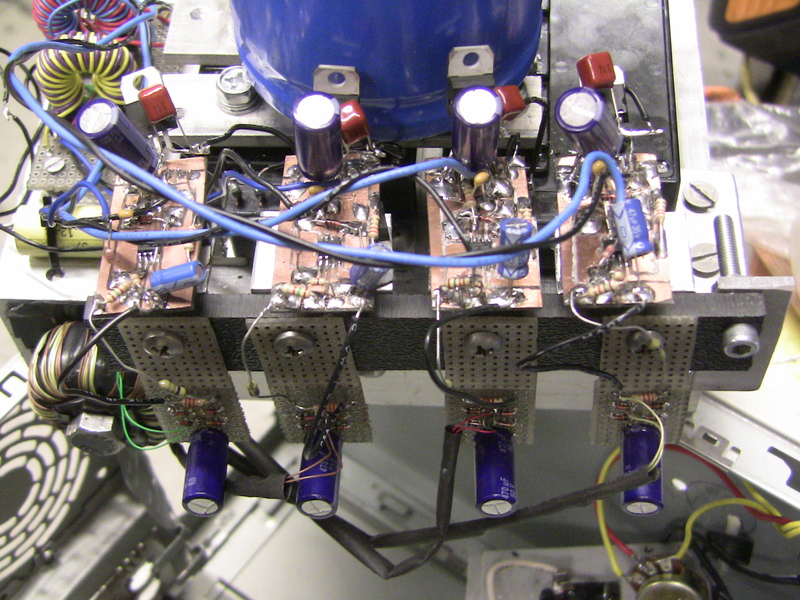 I had used gate drive transformers at home before, but hadn’t ever worked with floating discrete gate drivers. 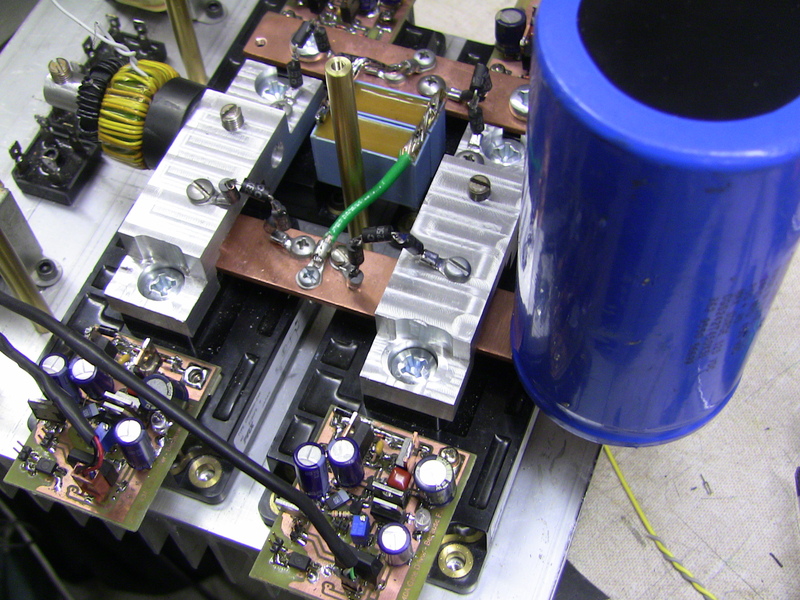 Unfortunately boot strapped power supplies don’t work very well for tesla coils due to their pulsed nature and need for a high reliability gate drive on the first cycle, so floating power supplies have to be used on the gates. Many revisions and models I didn’t get pictures of, but this roughly outlines the evolution of the drivers and supplies. 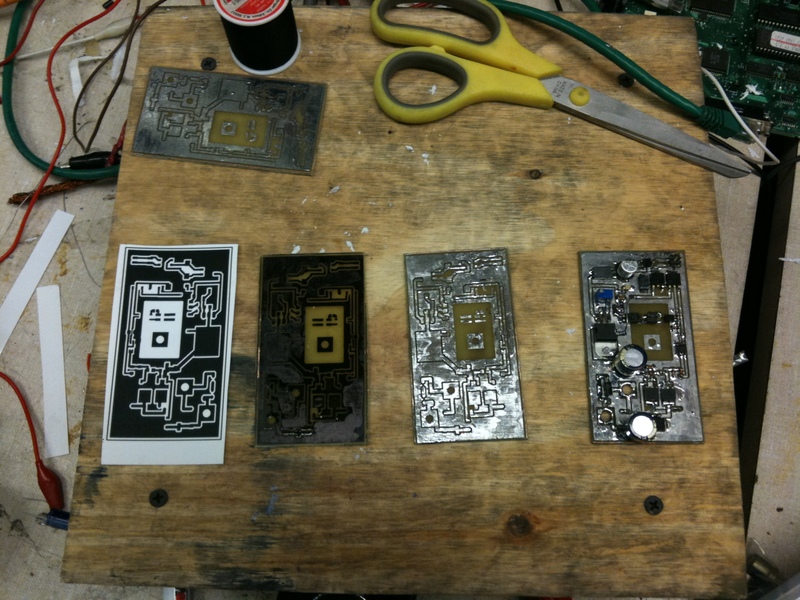 One of the first gate drivers I made, also one of the first boards I etched. 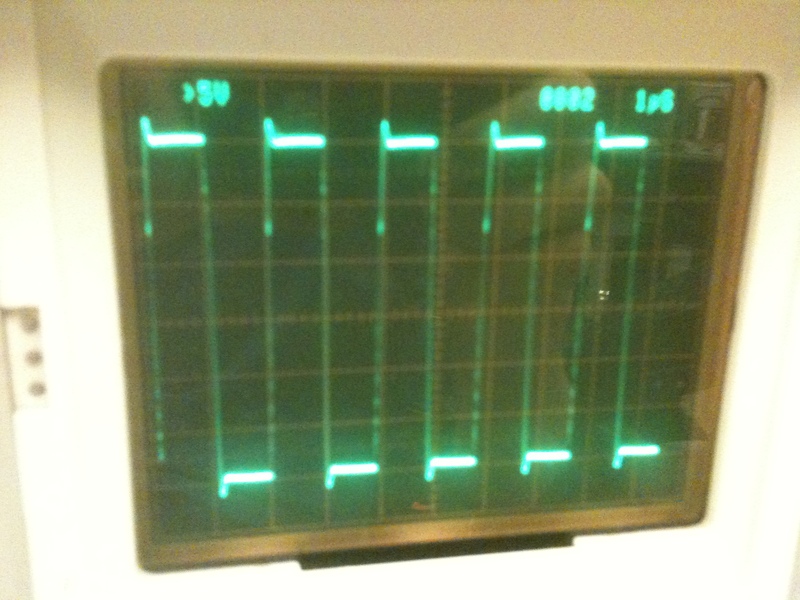 As evident by its appearance, it was not very reliable, although it did manage to power up my first DRSSTC for a while. 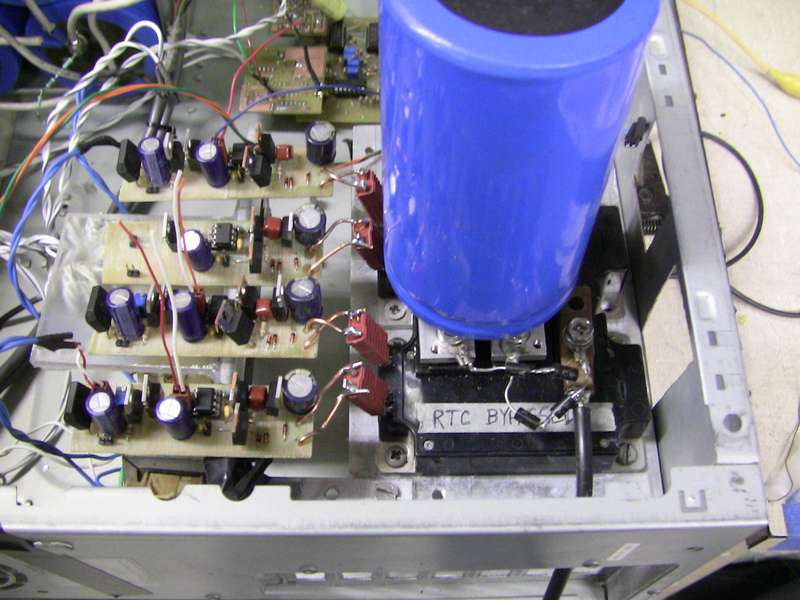 As far as I remember, it was nothing more than a voltage regulator and UCC37322 driving the gate directly, with signal provided by an isolation signal transformer. 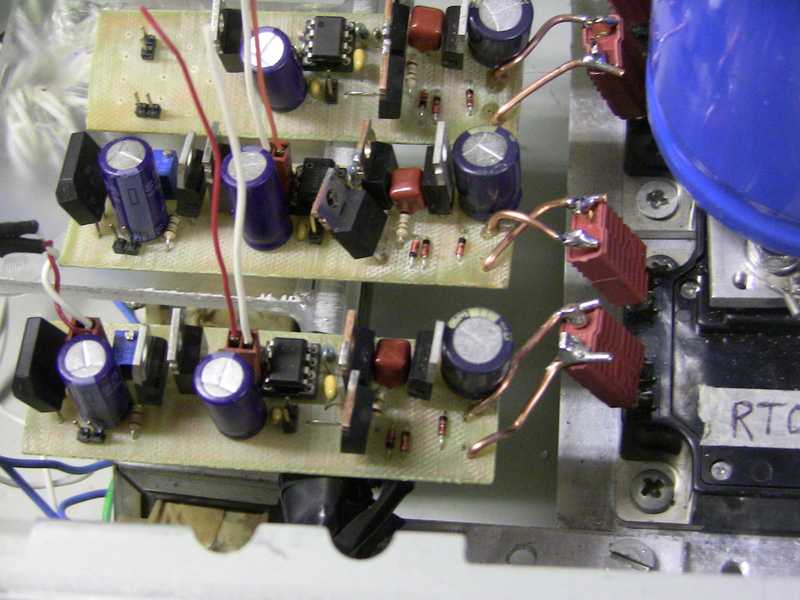 Unregulated isolation switching power supply hidden underneath to power the four gate drivers. This was a nightmare of ringing and voltage spikes since I knew very little about proper switching supply design at the time. Getting a bit more reliable, but still far from perfection. These drivers were powered by iron 60hz transformers rather than a switching supply. 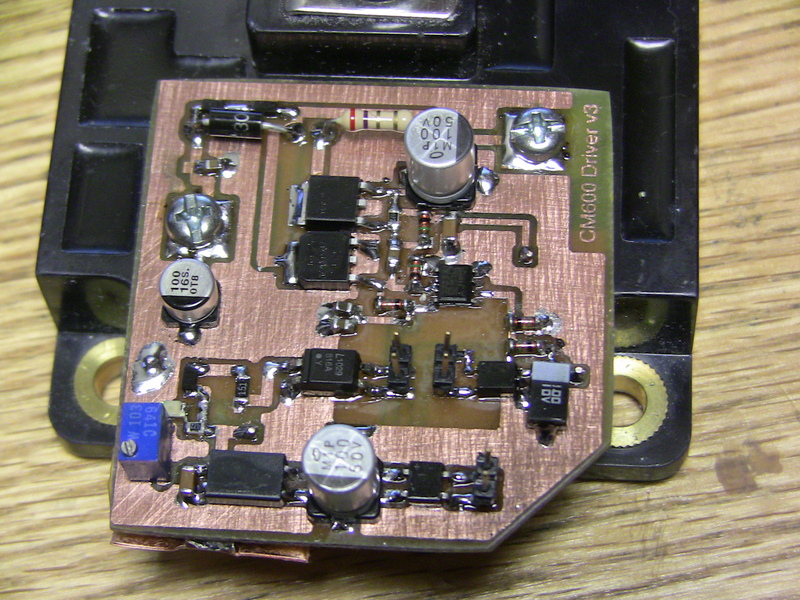 The first moderately reliable gate driver I made, driving a CM600 brick. Still a lot of ground loops and not an ideal board layout at this point, but it worked pretty well. At this point I started using a push pull P-N FET bridge to drive the gate which can be a lot faster than gate drive chips if done right. I also started using optical signaling at this point which greatly aided in precision timing control. This driver ended up being quite reliable. 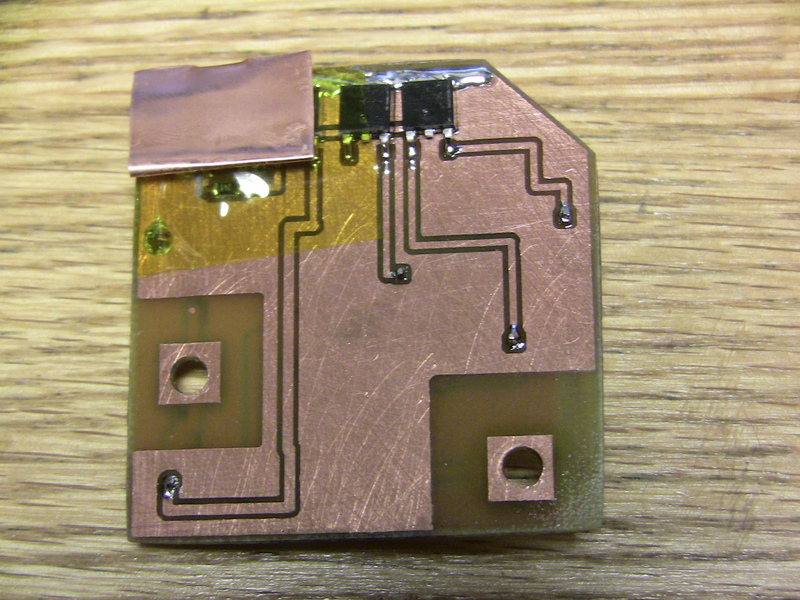 The grounding is still not ideal and I didn’t put much consideration into loops, but it performed very well. It was capable of driving the 3000nC gate to high in under 30nS which equates to more than 100A of gate drive. 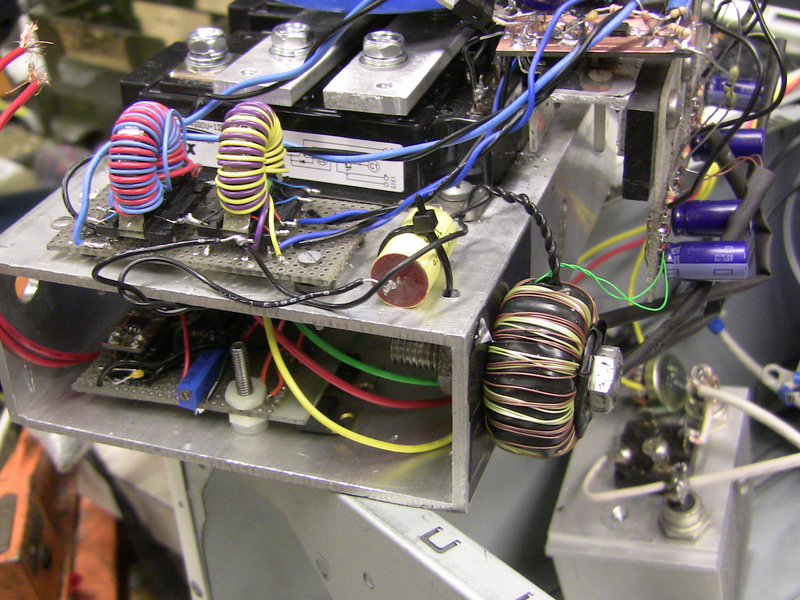 Power supplies on the bottom, the copper tab is a heatsink since it is a linear regulator powering the main gate power. 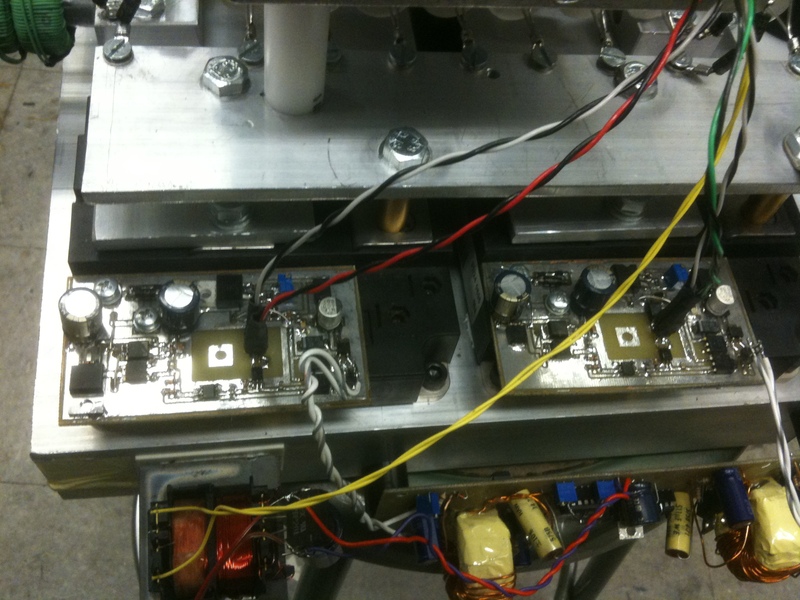 A better switching power supply with optical feedback to regulate the output. 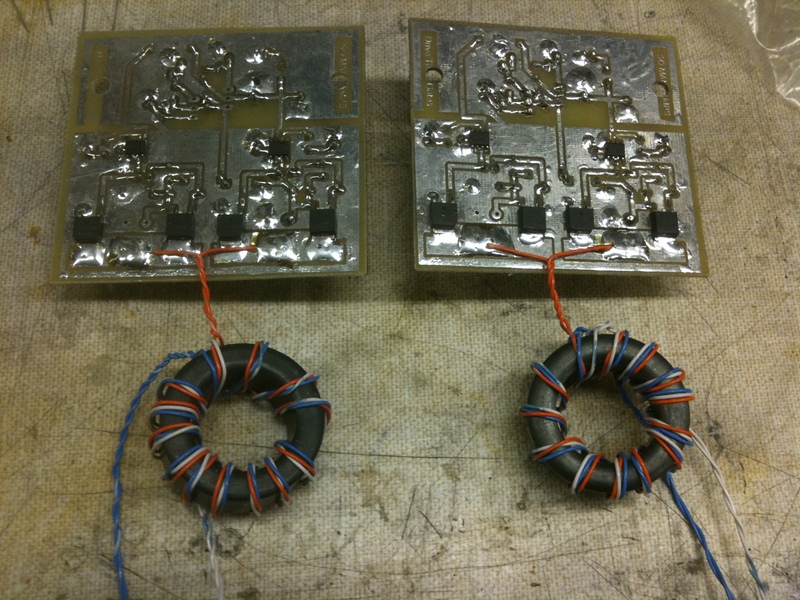 Gave a rock solid voltage to all the gates, although it was a bit over-complicated for the job being done. These are the gate drivers I now use, although I revised them to not have ground loops which is fairly important on these boards. A quick jump to gate drive transformers again. 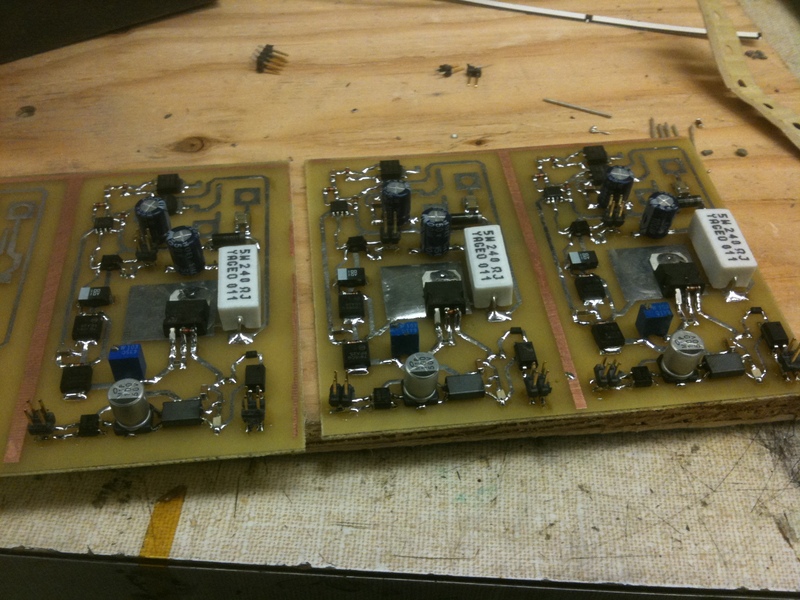 These boards performed very well, and actually turned the gates on almost as cleanly and quickly as the discrete boards. A great thing to have around, although I still like discretes for big coils. 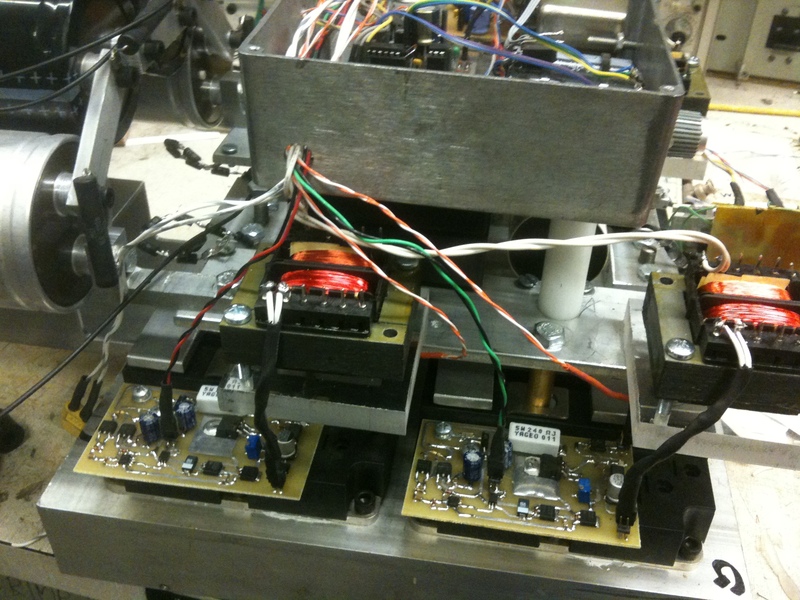 Drive waveform with the gate drive transformers. 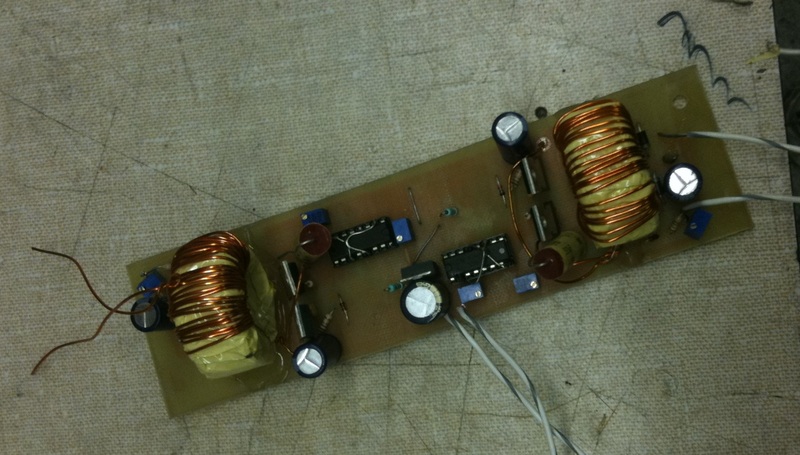 There is slight ringing which can be removed with a higher gate resistor at the cost of switching speed. That is the main advantage of discrete drivers, even with no gate resistor at all they won’t ring. A set of drivers freshly assembled. These are the new drivers I use currently and probably will for the foreseeable future. They are optimized with no ground loops at all (a result of not using a ground plane and carefully laying the traces). I also switched to a zener supply on the 5V emitter bias pull down supply, since the 7805 kept burning out. A bit lossy, but much more reliable. I’m sure a linear or switching supply could be found that is more noise immune, but this is a quick easy solution that’ll keep going forever. All put together with iron transformers. I don’t like the fact that I used iron transformers, but reliability even in fault situations wins in the end. When switching 3000A near by, it’s nice to have one less thing to worry about.